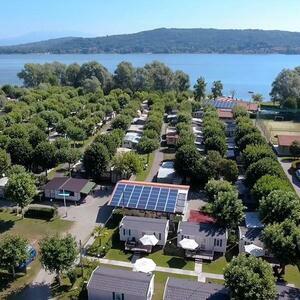 Directly set on Lake Orta, Camping Punta di Crabbia boasts a private beach offering sweeping views of the medieval village of Ronco. It is situated a short distance from plenty of fascinating sights and attractions, such as Orta San Giulio, Pettenasco, Pella and Omegna, what gives tourists the possibility to enjoy breathtaking views of the surrounding area while discovering local traditions and culture. The campsite gathers spacious camping pitches, tent spaces and caravan sites, and also includes comfortable motor homes and campervans. Motor homes are made up of well-equipped cooking area, private bathroom with shower box and bedroom, and are all provided with Satellite TV and garden equipped with table and beach umbrella, while campervans include cooking area, bedroom and TV. 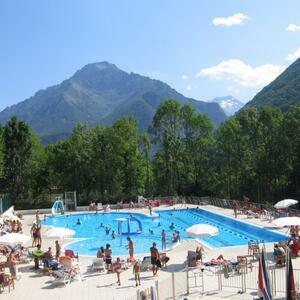 The tourist offer of Camping Punta di Crabbia is complemented by inner bar-restaurant-pizzeria, lush green areas and shuttle service 24/7 to the most beautiful lakeside resorts. 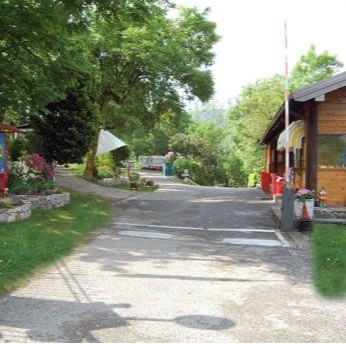 The campsites reception gives guests the possibility to book day and night boat and bus trips and excursions. Sports lovers will have the possibility to perform diving, paragliding and water skiing, as well as to hire sailing, motor and pedal boats and canoes.